YouTube music subscription service coming "soon" | What Hi-Fi? 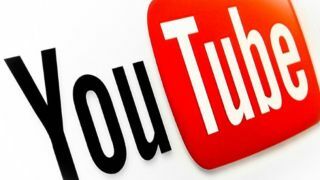 YouTube music subscription service coming "soon"
YouTube chief executive Susan Wojcicki has confirmed reports that a music subscription service is being developed by the video streaming service, but it's no clearer as to when it will launch. Speaking at Recode's Code/Mobile conference in California, Wojcicki gave very little away about the proposed new streaming service but stated: "I remain optimistic that you can see it soon". Back in April, reports emerged from the US that YouTube had delayed the unveiling of its take on music streaming because it wanted to "get it right" – no surprise, given the fierce competition. It's thought that agreements are in place with major record labels to launch the service – although a number of independent labels failed to agree terms and face being removed from the site. How will YouTube fare in the music streaming market? We'll start to get a clearer idea when more details emerge. The addition of another provider should be good news for the consumer, though how it affects YouTube in its current incarnation remains to be seen.